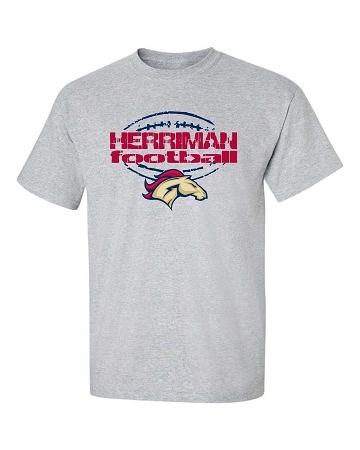 Herriman Mustangs Football Laces Logo T-Shirt - printed with a unique artistic process, the image is actually dyed into the T-Shirt. 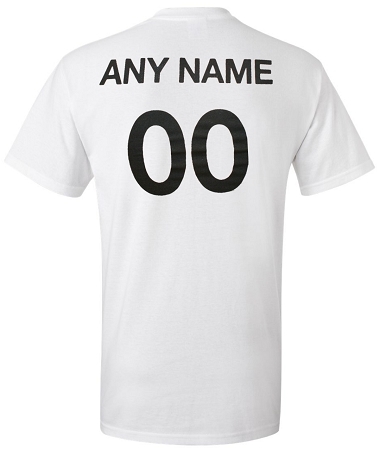 The resulting soft natural, retro-looking finish allows the garment to breathe, and will never crack or peel. 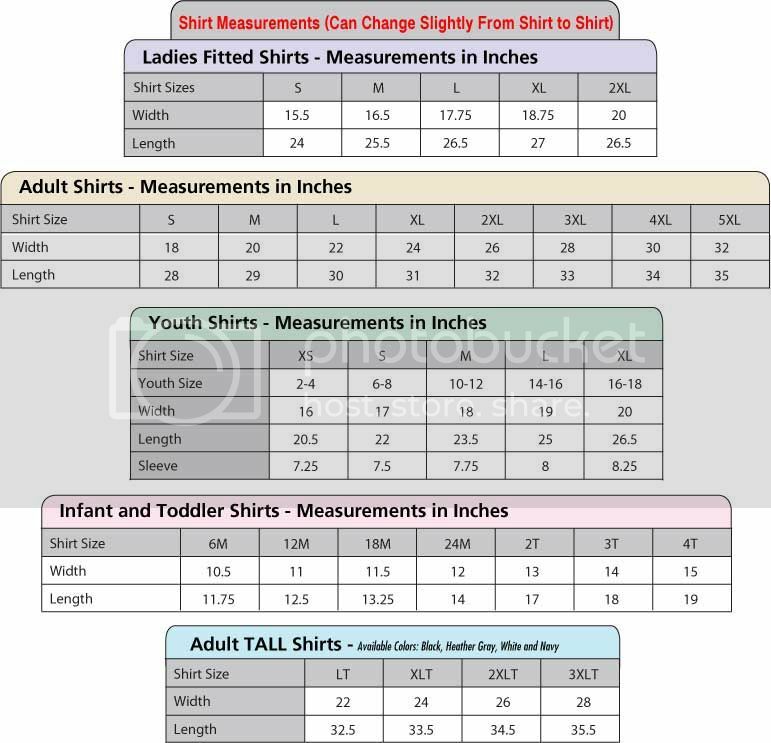 Printed on a Pre-shrunk, 6.1 ounce, cotton T-Shirt, the images size may vary depending on shirt size. 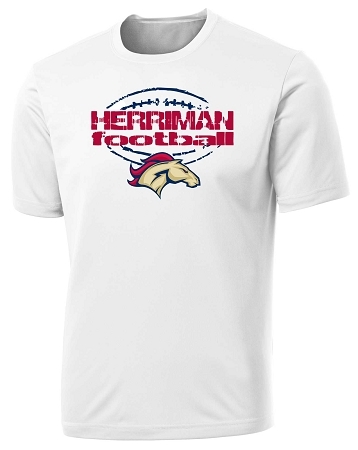 Please note images are protected by one or more artist copyrights, this image cannot be reproduced without written permission of Utah Blitz Football.